Are you struggling with your car and you suspect that the catalytic converter is faulty? Catalytic converters are very known to fail in a lot of cars and are often very expensive also if you are looking for a brand new. Diagnosing a bad catalytic converter is very important to make sure that you do not replace a fully functional catalytic converter because of the replacement cost. In this article, you will learn the most common symptoms and causes of a bad catalytic converter. 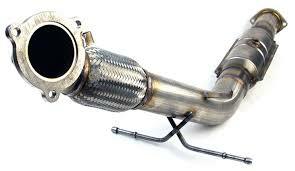 The catalytic converter is a device situated in the exhaust system of a car. The catalytic converter consists of catalyst that helps in the conversion of pollutant gases produce by car into less harmful pollutants. Catalytic converter’s structure is like of honeycomb shape. Purpose of honeycomb shape is to make sure that pollutant gases pass through the more exposed surface area and they are maximally converted into fewer pollutant gases. Normally Platinum, besides being one of the most expensive products, is used as a catalyst in catalytic converters. While in some cases Rhodium and Palladium are also used. As combustion takes place in the engine, all burnt gases flow through exhaust pipe passing through Catalytic converter at around 800 Degrees, hence affecting the exhaust flow of the engine. A perfect converter usually lasts up to 10 years. Honeycomb structure that catalytic converter has slowly started to choke affecting the performance of the engine. It is sometimes difficult to figure out that cars catalytic is not working perfectly as effects of a bad converter are somewhat the same as those of engine problem like valve issue, or spark plug issues. But once same basic engine worn outs are repaired and you still find that either your car is still missing or getting shut down, then your cars catalytic needs to be looked for sure. You can experience a lot of symptoms of a bad catalytic converter because when the catalytic converter is getting clogged, it will affect the performance of the engine very hard. If you want to learn a bit more about how to clean a slightly cleaned catalytic converter, you can check out our article: How to clean a catalytic converter without removing it. Engine check light, one of the most obvious and indications of any malfunctioning in your car, is also one of the indications for a bad catalytic converter. Upon checking from a compatible device, it will give catalyst failure code in the result which will have to decoded using reader’s manual. In most cases, you will experience a P0420 or a P0421 code. These are the codes that appear when the engine control unit has detected a bad catalytic converter. If you want to learn more about these codes you can find out our other article here: P0420 Code. 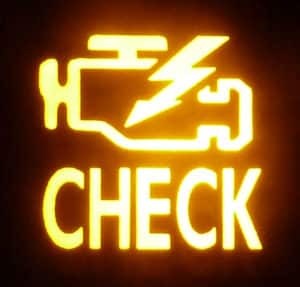 In case if it does not give a check engine light, vacuum gauge can be used to detect a fault. Connect gauge with intake manifold line, then start the engine, let the engine ide and measure gauge reading. Obtained reading, normally, should be between 16 to 21 inches of mercury level. Then increase engine’s speed and take it to around 3000 rpm and wait, then after few seconds check the gauge’s needle. It should return back to approximately what it showed initially. If it comes back slowly or goes low, it means your catalytic converter is blocked. Secondly, the catalytic converter can also be tested manually using IR thermometer. Start the car and let the engine run until it gets fully warm up. Once it gets warm up, then lift your car from using a jack or any support, then measure inlet temperature of your catalytic. After then measure the outlet temperature of your catalytic. Compare both inlet and outlet temperatures, if the exit temperature is slightly lower than the inlet one, it means your catalytic is fine or if there is a high difference between both, then it means your catalytic is faulty. If you experience a Check engine light on your dashboard, make sure to read the trouble codes with an OBD2 scanner to see if you get the P0420 code, and make sure to repair any other trouble codes before replacing your catalytic converter. If you observe delays in acceleration or you find that your car is not accelerating properly and losing power while going in steep areas and all other things that are spark plugs, filters etc. are fine, then your catalytic converter is at fault. Mechanics usually misdiagnose catalytic converter’s fault with other components that are unnecessary to change. You can also check it yourself. Keep your hand at the exhaust pipe and ask someone to push race paddle to increase your rpm, to 2000, if you get a hot feeling at exhaust flow, it means your catalytic is choked. Low Fuel economy is one of the symptoms of a bad catalytic converter. Due to improper burning of fuel, it reduces overall fuel average of the car resulting in an increase in expense. When catalytic converter gets clogged, they restrict airflow of exhaust, causing your car’s engine to be running with rich air and fuel mixture. Burning of this excessive mixture results in smell like of rotten eggs. This smell is of burning sulfur which very clearly states malfunctioning of your catalytic converter. Exterior surface of the converter gets discolored due to overheating caused a rich fuel mixture of unburned fuel that enters the converter. This mixture then burns in the converter and melts its inner material resulting in clogging. This blockage restricts the flow of gases through it creating back pressure effecting in the performance of the engine. Thermal damage can also occur when hot converters come in contact with the cold area, which damages its body. When the catalytic converter is clogged, the engine starts to get too much fuel which engine cannot burn. This excess fuel ignites in exhaust resulting in the car’s starting problem. When your catalytic converter is choked, there almost no working by it. Emissions done by car do not go through catalyst present in the converter and hence converting of high pollutant gases to low pollutant gases is not observed resulting in high emissions. When the catalytic converter is clogged, it restricts the flow of oxygen in engines, and engines require a lot of oxygen for proper burning of fuel. This less air intake results in overheating because of an excessive amount of unburned gases produced by misfiring of spark plugs. Usually Catalytic Converter’s last too long or maybe an entire life of vehicle but some engine’s worn outs can easily destroy your catalytic converter. Leaking exhaust valves that let unburned fuel to flow into an exhaust system that melts the internal area of catalytic, worn-out spark plugs, weak ignition, misplaced timing chain, worn piston, or intake manifold leak can be some of the reasons of bad catalytic converting as they destroy catalytic converter’s internal layer. The importance here is to always fix these things before you are replacing your catalytic converter. The most common causes of a bad catalytic converter are misfires. So make sure that you have fixed all issues with your engine before replacing the catalytic converter. 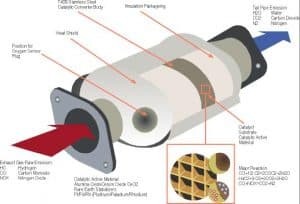 The cost of the catalytic converter itself does often range between 100-1500$ depending on if you are looking for a universal catalytic converter or an OEM part. The labor cost is often between 50-400$ to replace it. If you are going to weld an aftermarket universal catalytic converter to your car, make sure that the weldings are getting 100% sealed and expect that you might want to get problems with it and you may experience the P0420 code. My recommendation is to always replace it with an OEM catalytic converter to reduce the risk of problems with it in the future. Catalytic converters are very sensitive parts and have to be top notch. So basically, once you observe any of the above-mentioned symptoms, you are highly recommended to get your Catalytic Converter replaced before it further destroys your car’s performance and engine parts and gets you into more trouble of getting repaired whole car instead of just one expensive catalytic converter. Catalytic converters cannot be cleaned in any way if it is damaged once, because once they get overheat all catalyst inside them gets destroyed, so what it all needs to be done is to get it replaced. If you have any other questions about catalytic converters, you welcome to ask your questions down below. DOHC Vs. SOHC - What's The Difference between them?